Christmas jumper day falls on 18th December this year where people across the UK do their bit and wear a knit! Christmas Jumper Day is organised by ITV's Text Santa where we are all encouraged to wear our Christmas jumpers and raise money for charity. This year they have partnered with Make a Wish, Save the Children and Macmillan Cancer. You can read more about it here . Last year I wore a Next Christmas jumper which flashes and sings with a red tartan skirt, black tights and little black boots. You can read last years post here about what we got up to on the day and see what I wore. So I have put together a little post sharing my favourite Christmas Jumpers and how to wear them as full outfits. This outfit is currently my favourite. The White tree jumper with green embroidery is perfect for the winter season. Matched with a red tartan skirt and a cute red hair bow! 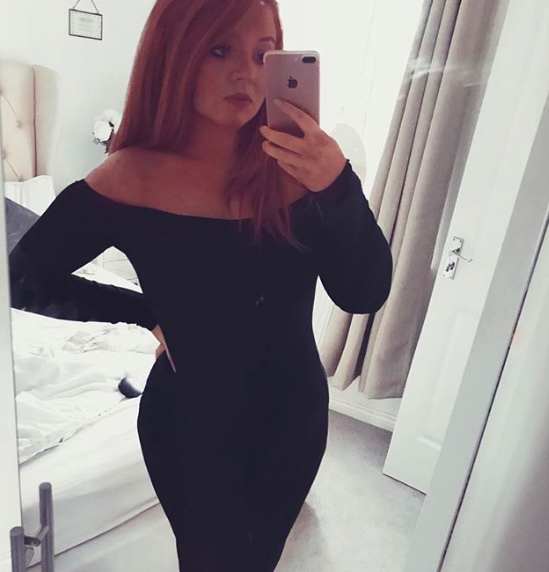 This outfit is a bit more sassy and think it would be perfect for those at work that plan on going out afterwards too. This jumper would look great with an A line leather skirt and the hairstyle above would be the finishing touch to that sassy style! And lastly, this is a mixture between the both. Both sassy and cute and affordable. This Christmas jumper is a longline style which you can either wear on its own if you are daring, or tucked into a tartan skirt. 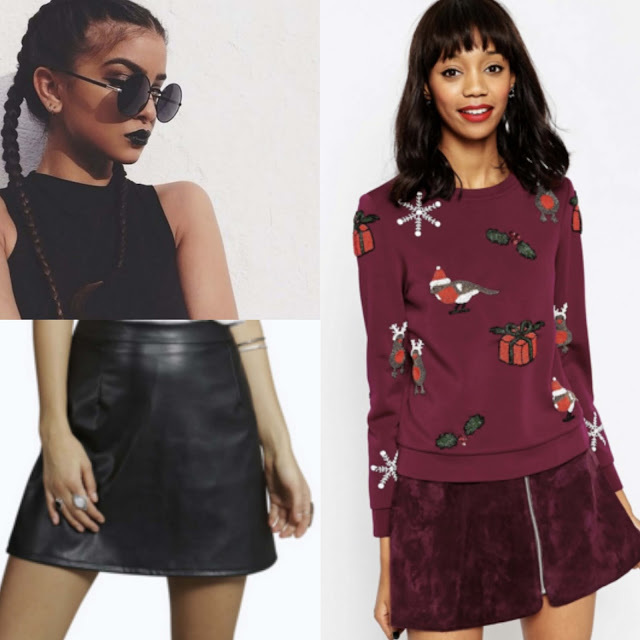 The Jumper is from Missguided for £22 and again the skirt is from Newlook! Knee high boots would finish the look off and cover your legs or tights would work just as good with small ankle boots. These boots are from Riverisland . Also, one f my favourite winter accessories is this faux furr headband from Dorothy Perkins for £8.00. I literally lived in mine last year.. It kept me warm whilst walking around the Christmas markets! I hope this post inspires you and helps when choosing a full outfit for the day! 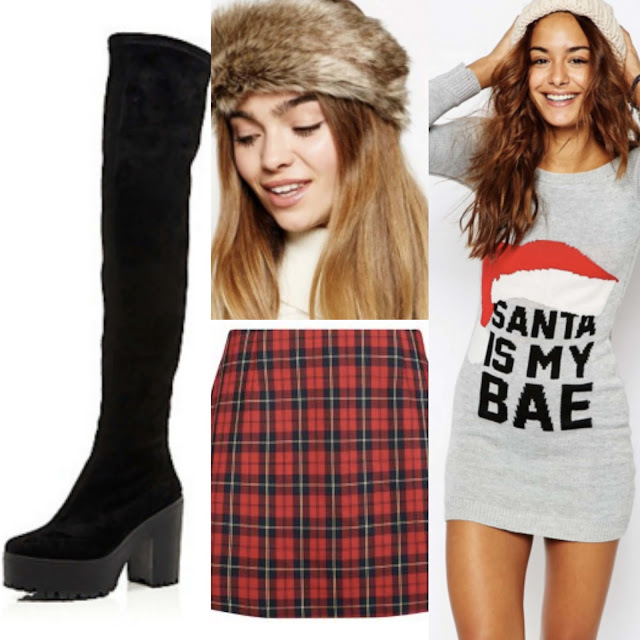 Are you a fan of these outfit choices for Christmas? Remember to follow me on Instagram and Twitter at CarrieRosePR and see my pictures of my outfit this year! love these jumpers! they are so xmassy and cosy! Gorgeous outfits, I love the red ribbon in the hair detail! Outlook Support Number Amazing post!! <a href="https://www.kiwibox.com/Techi­eWe/mypage/“>Microsoft customer support</a> are give the all kinds of the Microsoft issue with on time solution. Microsoft customer support are give the all kinds of the Microsoft issue with on time solution. If You are facing Any Kinds of the tech issue with the any PC device or service . Then Get Help With the Our PC Support team. They are always ready for asssist you. Thanks for sharing good information. If anyone need Application software support It's that simple. Our technical support team is always available. Please reach out to us in the way that is most convenient for you and we will help resolve any technical issues that you may experience. Hi there! I could have sworn I’ve been to this blog before but after checking through some of the post I realized it’ new to me. Anyhow, I’m definitely delighted I found it and I’ll be bookmarking and checking back frequently!